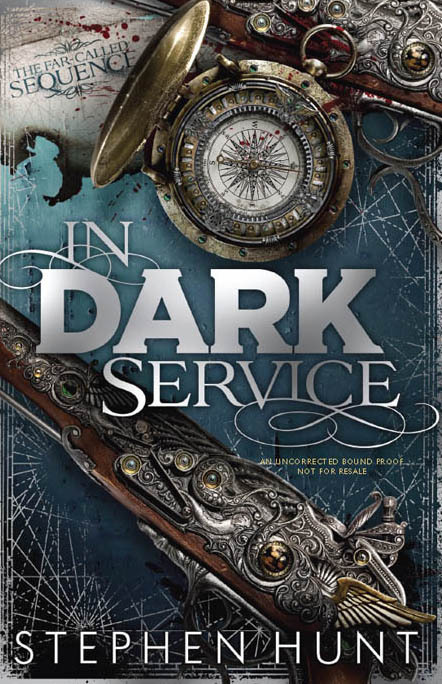 ‘In Dark Service’ is currently £1.99 rather than £14.99 (only for a couple of days, though). Thanks Auntie Gollancz. Get yours while it’s hot at . . .
FYI, but the US link says: “Pricing information not available.” and has no purchase link. So I’m hearing. Problem is, Amazon USA blocks my view of its .com Kindle pages because I’m from a European I.P address, so I have to guess at status. I was told this was working, though. I have checked Amazon (in USA) everyday for a week and there is no way to purchase the Kindle version. Let me know if you would like to see screen-grabs of what we are seeing here on the US site. Hi Dave, methinks this is the problem . . .
Amazon Removes Pre-Order Capability On Many Forthcoming Hachette Titles. « Forbidden Planet Megastore (London) book signing by Stephen Hunt in May.